This time around, we're joined by WA crime writer, Robert Schofield, whose first book Heist was reviewed by none other than... my Mum. Robert Schofield's second book, Marble Bar was released in Australia this week, with lead character Gareth Ford returning to the fray in a brand new mystery. Gareth Ford, with a cloud still hanging over him because of his involvement in the Gwardar Gold Heist, has decided to make a new beginning in the iron mines of Newman. But when he returns home from the night shift and finds his flatmate has been murdered, suspicion quickly falls upon him. He, however, fears he himself was the real target and soon discovers he is being tailed. He summons his old ally from the Gold Squad, DC Rose Kavanagh, and soon they find themselves in Marble Bar, searching for the Gwardar Gold and being pursued by a variety of desperadoes, each with their own agendas. But that's enough from me... I'm going to hand over to Robert and let him show you his beautiful books. I saw one of those internet aphorisms just before I started taking these photographs which said: ‘The odd thing about people that have a lot of books is that they always want more.’ I realised that I seldom actively covet books, or go out seeking them, they just seem to coalesce around me. Much like coat-hangers, they seem to appear out of nowhere. 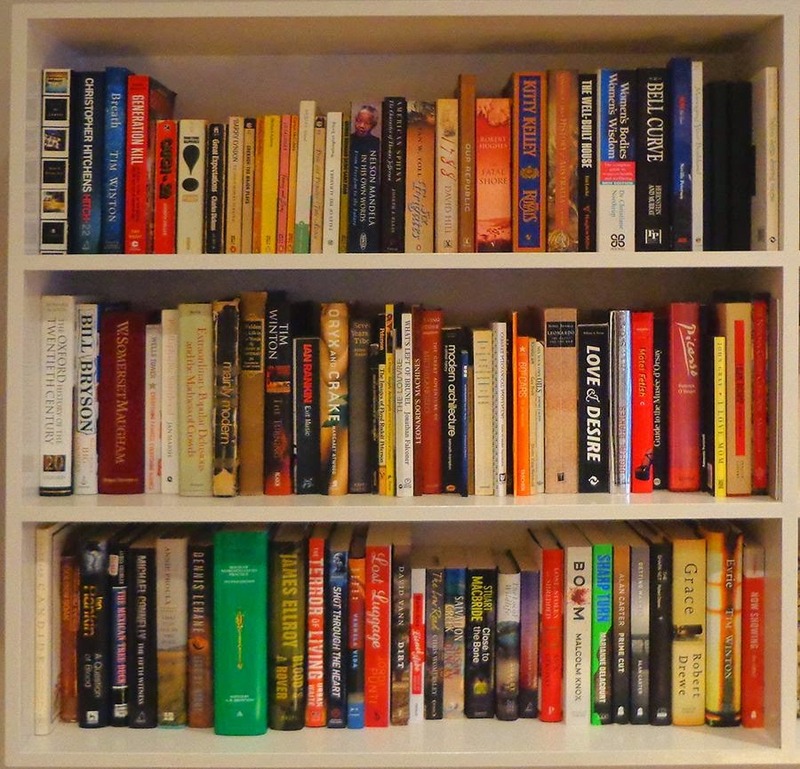 I noticed there were far too many books on my shelves that I had never got around to reading, and an alarming number that I had no recollection of owning or any idea where they might have come from. I think I inherit these strays them from friends or family, or get a box full from a garage sale that I forget about. I try to limit the number of books I buy, but still they come. 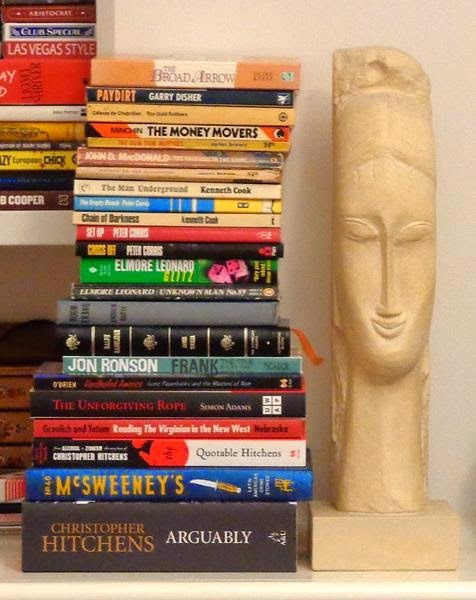 I have a sculpture on the mantelpiece beside my bed, a nice Modigliani head, and beside I stack my ‘to read’ pile. I made myself a rule that if the pile got taller than the head, I wouldn’t let myself buy another book until I had read through the pile. What a woefully optimistic crock of self-delusion that was. I’ve recently started research on my third novel and the books started piling up and soon I had two stacks taller than the head and went into denial. Before I could take the pictures I had to tidy the shelves, because there were more books than space available, and I had started to double-stack the shelves and jam books sideways into every available gap. It made me realise that I didn’t have enough shelves, which prompted a conversation with my wife about where I could put some more. Discussion swiftly turned into argument. 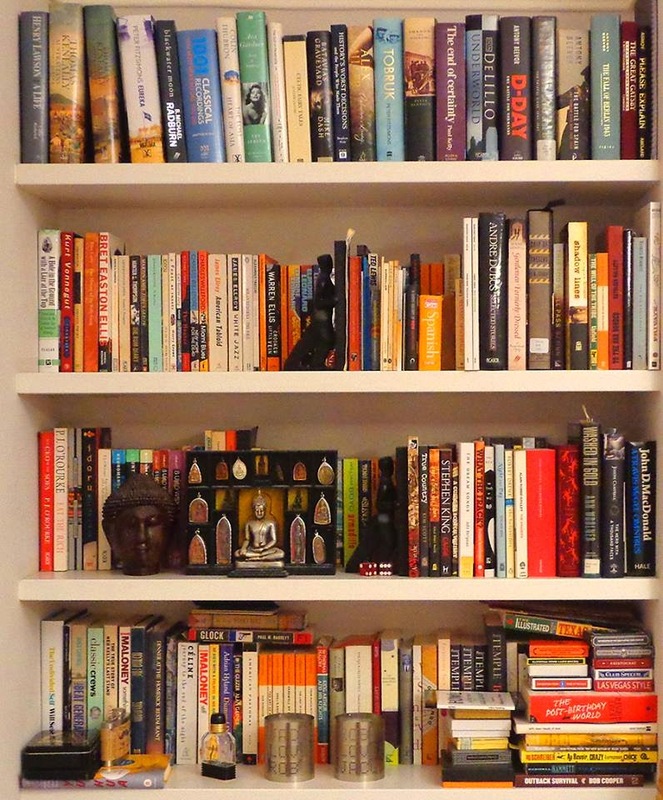 I was told I already have bookshelves in three rooms of the house, and am not taking over any more rooms. I didn’t see the problem. 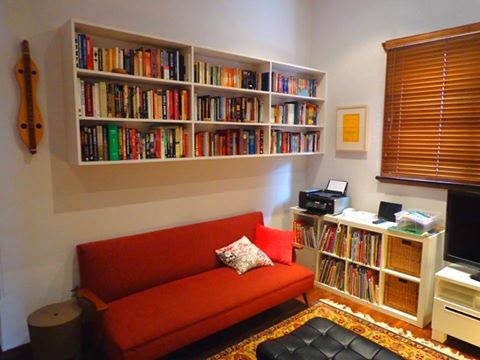 Every room should have books. 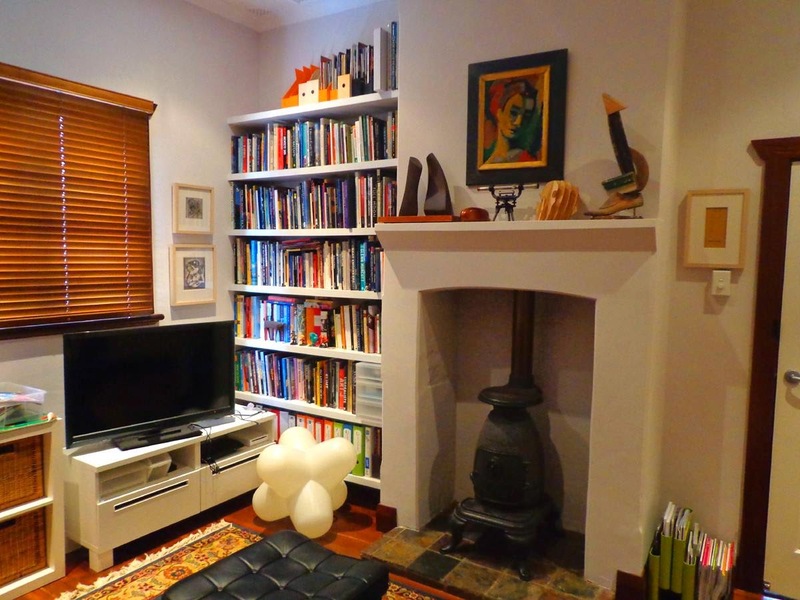 When we renovated our house we built bookshelves in two rooms: the bedroom and a room we used to call the study. 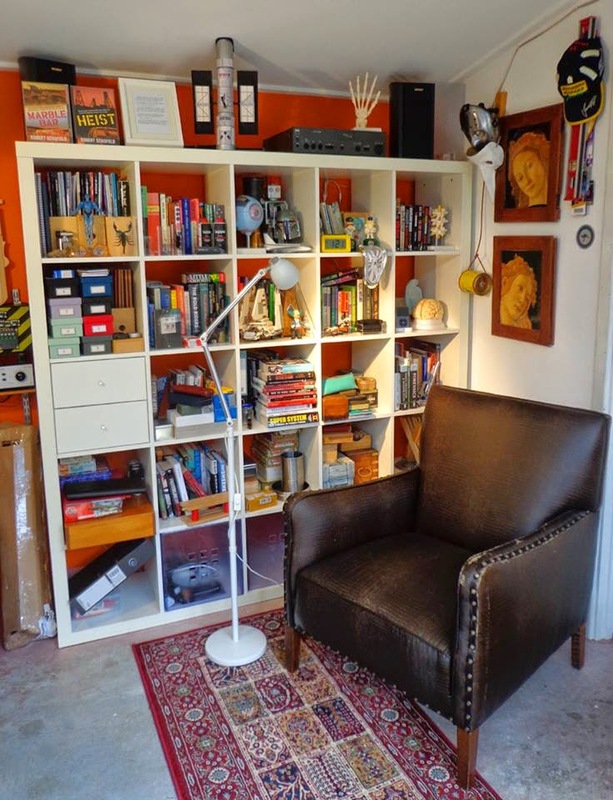 When the kids arrived the study became a second living room and I now have to write in my shed. The built-in shelves in the house soon filled up and I had to put an Ikea bookshelf in the shed for the overflow. That shelf is now full. 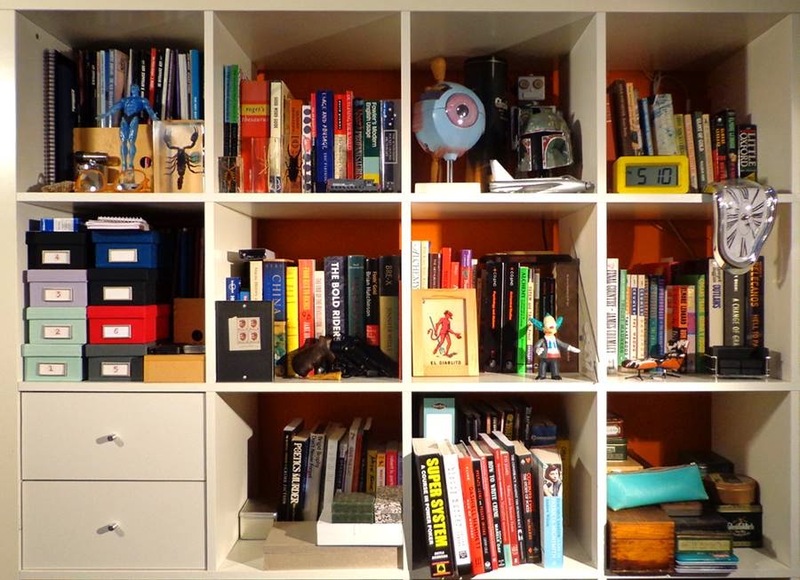 (Incidentally, I saw recently that Ikea are planning to cease production of the Expedit bookcase. I wept when I read that. It was almost as bad as when I heard that The Smiths had broken up). The shelves were originally arranged in some sort of order, but the system didn’t take long to break down. They are organised mostly by size. All the big hardback books are stacked on the tallest shelves. 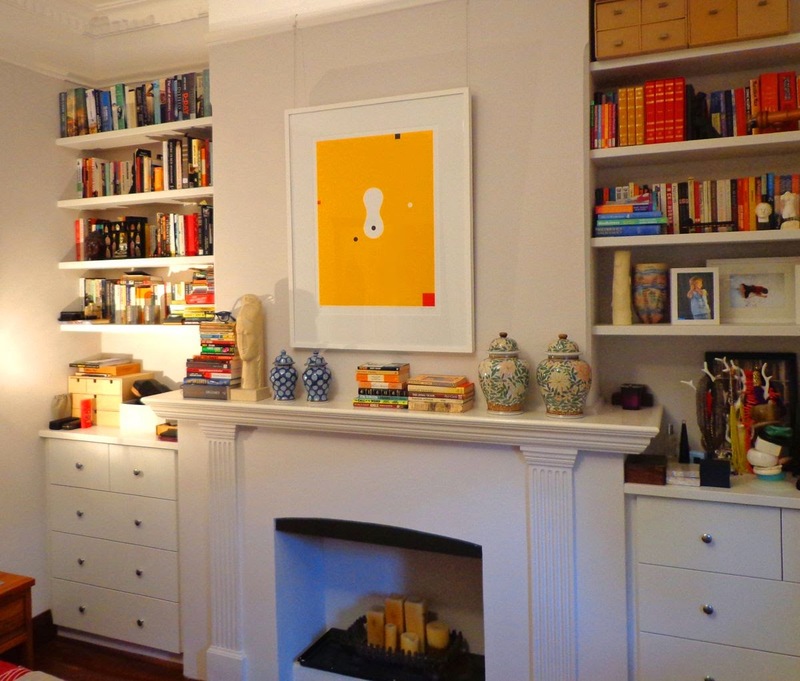 I am a structural engineer by profession, and used to work for an architectural practice, so I have a lot of hardback monographs and art books that are kept on high shelves out of the reach of sticky little fingers. I have one shelf where I keep signed copies, and I’ve been getting more of those since I’ve been invited to festivals, but apart from that the paperback shelves are pretty random. I try to keep books by the same wrier together, but then an author will publish a book in a different format, and it doesn’t fit on the shelf, and the system breaks down again. 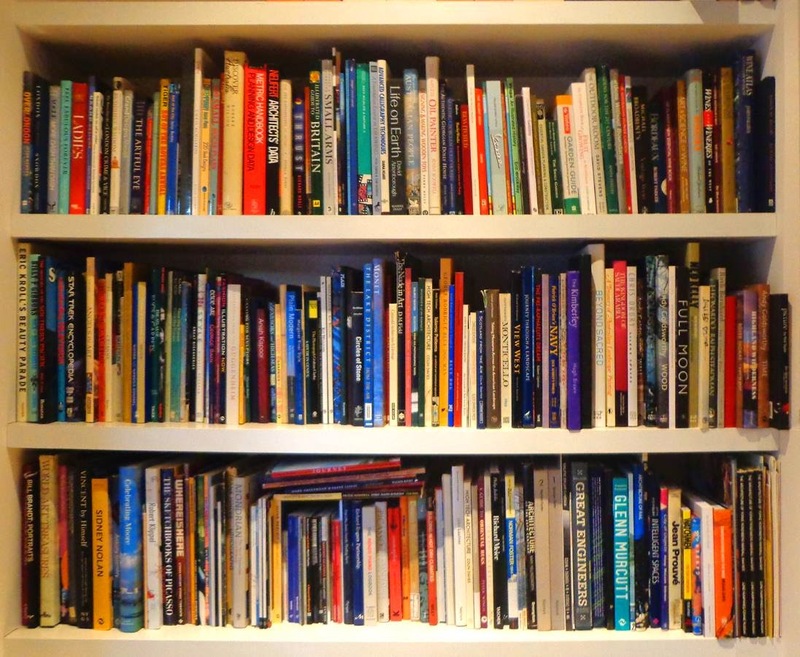 I keep all the books related to my writing in the shed next to my desk: dictionaries, reference books, non-fiction, biographies of writers, and all my notebooks and manuscripts. I have a reading chair in there as well. 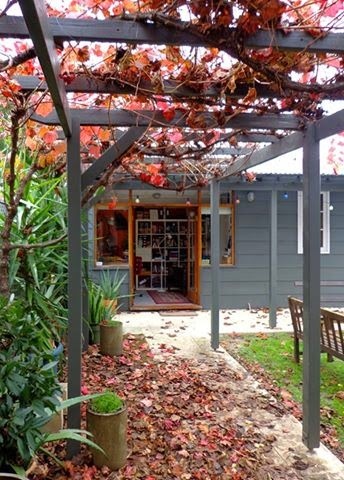 Writing is an excuse to lock myself in my shed and shut the world out, which is an extremely selfish thing to do. Luckily I have a family that lets me do that. Sometimes they even encourage me to go away and leave them alone. The shed is slowly filling with clutter: things I’ve collected, old toys, scientific curiosities and random junk. I’m trying to turn it into a Wunderkammer: a cabinet of curiosities. When the kids come to the shed, they like to take things down from the shelves and we sit in my chair and talk about them. Thanks for that tour, Robert! You can buy Marble Bar now in any bookshop worth its salt! You can also find this post, and many more, at Robert Schofield's blog.